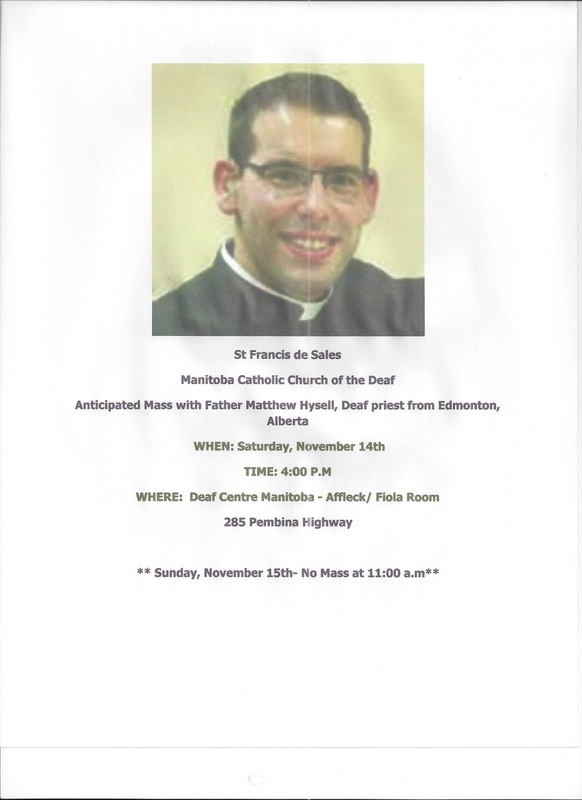 Deaf Centre Manitoba Inc.: Anticipated Mass with Fr. Matthew - Saturday Nov 14th at 4pm! Anticipated Mass with Fr. Matthew - Saturday Nov 14th at 4pm!